Bariatric surgery offers a way for obese individuals to take control of the body and kick start extreme weight loss. Dr. Liza María Pompa González and her team are happy to offer a number of bariatric surgery techniques to alter the size of the stomach and restrict the amount of food and nutrients that can be processed by the body. While bariatric surgery allows patients to lose a significant amount of weight in a short amount of time, patients must be dedicated to making the lifestyle changes that will ensure weight loss is long lasting. Maintaining a well-balanced diet is key to the long-term success of bariatric surgery, but so is an active lifestyle. Here, we discuss how exercise after bariatric surgery can enhance surgical results for our Tijuana, MX and San Diego, CA patients. We also review the safest way to introduce exercise in the weeks and months following treatment at our bariatric surgery center. Exercise is vital to losing weight and keeping weight off after it has been lost. 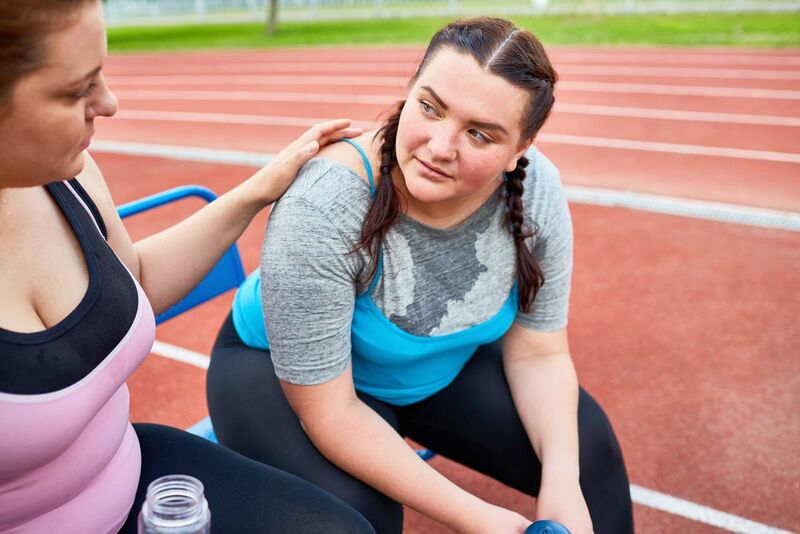 Studies have shown that bariatric patients who introduce exercise after undergoing weight loss surgery lose a greater amount of weight than those who do not exercise. They also maintain a BMI that is, on average, four percent lower than bariatric patients who do not exercise. One way in which exercise helps bariatric patients control weight is by burning excess calories. Another benefit of exercise that is perhaps even more important is that it leads to a higher basal metabolic rate, which means the body will burn calories faster. While most bariatric patients are primarily concerned with weight loss, exercise offers many more benefits as well. Regular exercise can increase life expectancy, lower blood pressure, and reduce the risk of certain diseases. Exercise has also been shown to improve the mood, increase energy, and lead to stronger lungs, bones, and muscles. Many patients are eager to implement important lifestyle changes after bariatric surgery. However, it will be several weeks before patients are ready to begin any moderate exercise routines (such as aerobics and strength training). Walking is a great source of exercise and something that patients can begin soon after bariatric surgery. We recommend that patients aim for 30 minutes of walking a day. Toward the beginning of recovery, it is best to break this down into three 10-minute walks throughout the day. As strength and endurance build, patients can gradually increase the length and pace of their walks. By about three weeks after surgery most patients should be able to walk briskly for 30 minutes at a time. By about six weeks after surgery patients should be walking comfortably and energy should be high. If surgical incisions have healed, this may be a good time to introduce additional exercises, such as strength training and cardio. Always start off slowly when trying a new routine and be sure to listen to the body’s cues to avoid injury. Bariatric surgery has helped many people lose weight and change their lives by maintaining a healthier, more active lifestyle. If you’d like to learn about the bariatric surgery techniques performed by Dr. Liza María Pompa González, and how they can help you take control of your body, contact us at your earliest convenience.